Physiotherapy is a physical therapy and rehabilitation specialty that reduces impairments and promotes mobility, function and quality of life through examination, diagnosis, prognosis and physical intervention (a therapy using manual mechanical force and movements). We believe physiotherapy is a specialized profession, beyond the usage of electrical devices, heat treatment etc. Based on our training in the Netherlands we take an active "Nordic" approach, which means individual treatment with high intensity for one full hour. This gives us the possibility to work on the right outcome for you, by actively involving you in your recovery and guiding you with exercises that you can do at home. In support of the physiotherapy treatment, Running Barcelona also offers Manual Therapy to assist in your physical recovery if necessary. Manual Therapy is a physical treatment primarily used by physiotherapists, chiropractors, osteopaths and osteopathic physicians to treat musculoskeletal pain and disabilities. A manual therapist is specialized in the diagnosis and treatment of the musculoskeletal system, specifically the joints, muscles and nerves and their relations among each other with the aim of improving movement. To influence these regions, the manual therapist can use different techniques. This may include moving the joints in specific directions at different speeds (joint mobilizations or manipulations), muscle stretching, passive movements of the effected body part or letting the patient move into the resistance of the therapist to improve muscle activation and mobility. Also, medical training therapy, soft tissue techniques and advice to prevent future injuries are all part of the treatment given by a manual therapist. We believe that training your body is vital for getting fit and staying fit. It can be used for prevention or for active recovery after injury. We offer personal physio-training focusing on health to feel better, increase your energy and improve daily activities. Our goal is to offer the best quality without a "the more pain the better" attitude. Thinking of getting the best training in town? Let us guide you to having great training, improving your technique or preparing for a special race. Using the beautiful surroundings of Barcelona, you can train almost all year round in a nice climate, experiencing different settings and surfaces. The training sessions can be offered at all level and intensities, for individuals and groups, from beginners to professionals. Dry needling is a relatively new and effective method within physiotherapy for treating muscle pain (myofascial pain syndrome). A thin needle is inserted into the affected muscle to provoke a local twitch response and to make the muscle fibers relax. Dry needling uses these needles to reach " trigger points " inside the muscles that are stimulated for a short moment. A trigger point is the sensitive part of a muscle that becomes painful when compressed and which can also often cause stiffness and referred pain in other body parts away from the trigger point itself. Dry needling makes use of a 'dry' acupuncture needle which means there is no liquid injected into the muscle. The effect of the treatment comes from the needle itself. Dry needling works with western anatomical and neuro-physiological principles and therefore shouldn’t be confused with acupuncture, even though both make use of the same type of needle. Based on our training in the Netherlands, we use the “Nordic style”, an active working methodology, which consists of individual high-intensity treatments which last for one hour. This type of activities are recommended to prevent injuries in the skeletal-muscular system caused by a sedentary lifestyle and bad posture at work, as well as to reduce stress (one of the main causes of sick leave in Spain). Complete. The company implements the physiotherapy service for the staff by assuming the entire cost of the sessions. In this way, the service can be a source of motivation in order to engage with the workers. Shared. The company and the worker share the cost of the sessions. Free disposal. The company provides the time so that the worker can have the treatment, which must take place in our centre or in the company’s facilities. In both cases the costs are charged to the worker. The sessions are individual, they last for one hour and they are provided based on demand and the times established by the company. Commitment, people being motivated by their work, communication and understanding with team members are the key aspects for anybody to reach their goals successfully, be it individually or on a company level. 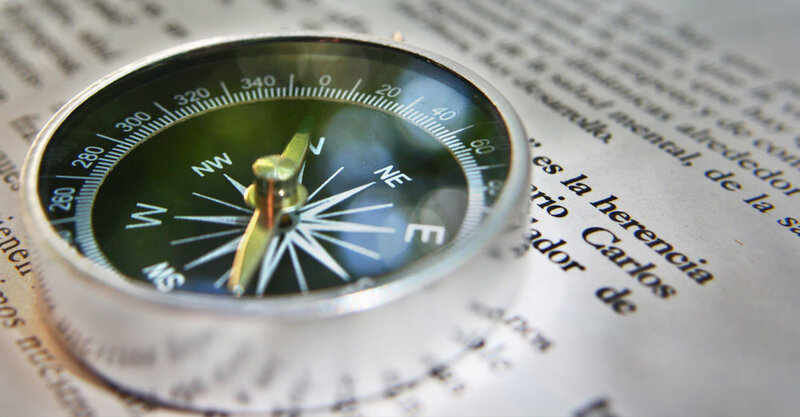 Thanks to being able to provide you with the necessary tools, such as a personalised coaching service, we are able to increase the motivation and productivity in your work team, improve your level of energy and gain more and better corporate results (without neglecting physical and mental health). It is ideal for people who have an important role or management position with a high level of responsibility at work who want to improve their quality of life. At Physiotherapy Barcelona, we work with the goal-setting method, focusing on managing energy as the cornerstone of our business coaching. It is proven that improving a person’s energy also improves their physical condition and reduces stress. With our work method, we use different group and individual dynamics within which we work on the most basic and important aspects of all the work team, such as: leadership, internal communication and team work. Our aim is to have happier, more efficient and more productive workers. 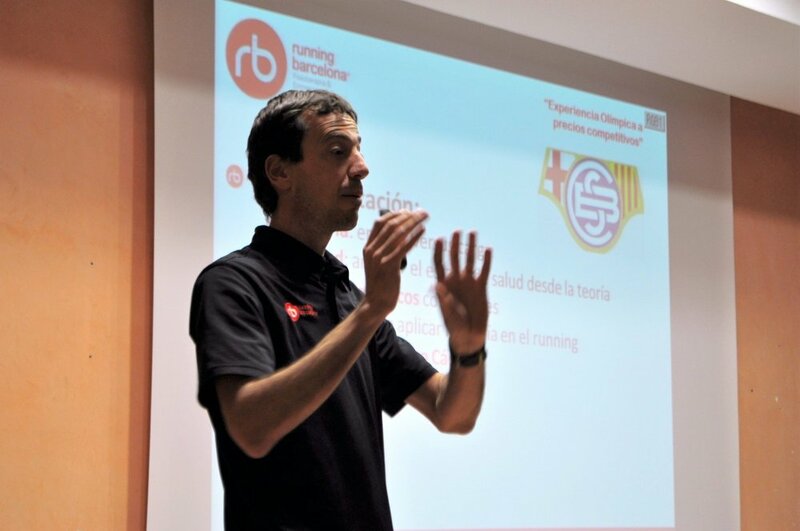 In collaboration with our partner Running Barcelona, we organise presentations and talks about different health topics and healthy life habits for clubs, international schools and companies. The benefits of exercise go beyond improvements in fitness. Exercise improves the memory, concentration and other aspects that are important for learning. It stimulates chemical substances in the brain which make us feel more relaxed and happier. It also improves the cardiovascular and aerobic system, and if the heart and lungs are working well, there is more energy to manage any potentially stressful daily tasks. And if everything we need to do to obtain those benefits is fun... all the better! 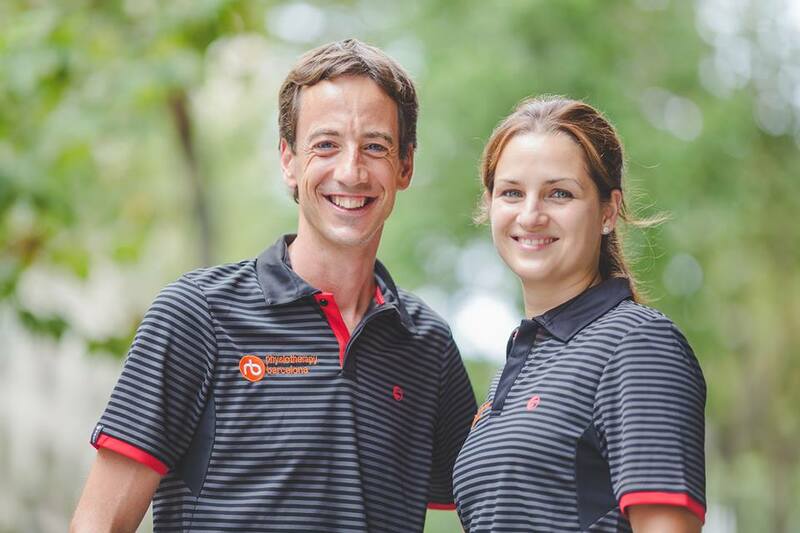 Physiotherapy Barcelona organises tailor-made events for companies which help to showcase the pleasure of exercise. Team building sports, running camps, group coaching and more. If you are looking to make a plan for a day with your team or a more regular activity, get in touch with us... we’ve got plenty of ideas!